Smart City is an an urban development mission and concept we hear increasingly as a range of thinkers, technologists, architects, engineers, designers, artists and environmentalists come together to plan smart ways of building cities for citizens. Technology and populations sizes are growing rapidly so regular research, monitoring and design thinking is required to deal with a range of complex interconnected factors. On 13 October just before I left Hungary Mindspace launched their new Urban pop-up space in Budapest that will host a range of discussions and workshops to bring different thinkers and doers to the table over the next three years as part of the Shared Cities Creative Momentum* programme. 6 European countries are involved to share knowledge and expertise with a range of projects and events taking place. I arrived in Budapest 6 weeks prior to this on a programme funded by Climate KIC, Europe's largest public-private innovation partnership focused on climate change, consisting of dynamic companies, the best academic institutions and the public sector. For 6 weeks I researched and explored the city, its people, places, creative organisations and its sociological challenges. My project brief was to explore how Mindspace, my host organization, can use arts and culture within its programme of activity to connect people and places in urban areas of the city. My research project included exploring the power of the arts to create change, educate and empower communities about sustainability, climate change and green issues as well as providing examples of good practice from around the world. Mindspace are a not for profit based in the heart of Budapest focusing on social innovation, smart city and knowledge management. They are a dedicated team of five founders and a number of volunteers juggling a range of projects and roles, so my recommendations needed to be realistic, and of course smart. Budapest is a thriving European capital with millions of tourists visiting the city to explore its beautiful buildings, steam baths, the Danube river and nightlife. But a few more weeks and you start to delve into the political, historical and sociological landscape of a country that I think is critical to appreciate when creating arts activities or indeed any programmes as one size does not fit all. 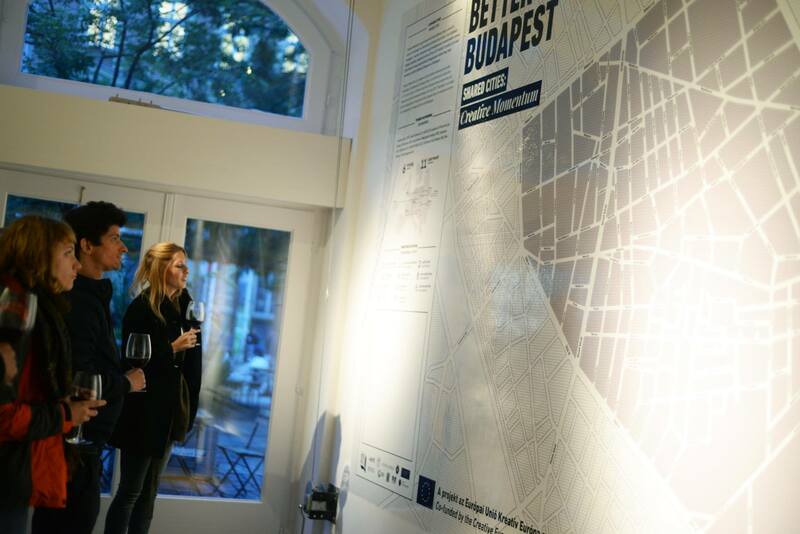 Budapest is only a 2.5 hour flight from London but in some aspects worlds apart in how the creative industries are developing and a part of every day public life, and how they fit alongside other sectors. We have much to learn from each other and expertise to share. Resources and support from government are declining across Europe for creative ventures but still there are differences across the continent that cannot be ignored, so it is great that projects like Shared Cities exist to address some of these. One thing that is cleared shared across the continent is the challenged of involving citizens in cultural projects and planning. Cultural leaders and organisations with a democratic outlook want to engage citizens and include their ideas, as well as gain their participation in projects, but engagement can be a huge issue, and this is still a huge problem for the climate change sector. 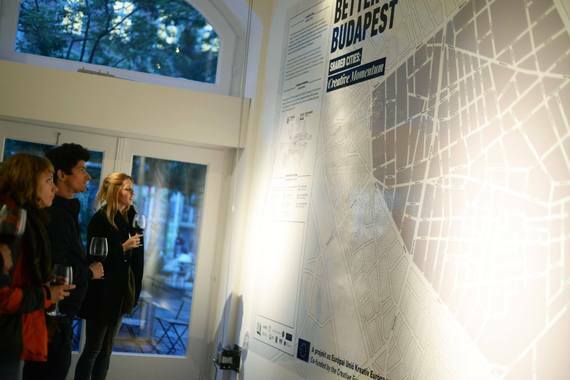 In Budapest I attended an event about Smart Cities at the new Impact Hub, I went to the International Art Market where I saw some works exploring global warming, but of course the audiences here were niche and already 'converted' or knowledgeable about the issues. We often communicate within our bubbles and projects managers struggle to reach out to new audiences even in this era of social media and digital technology. I visited the city park and met a number of activists protesting against the new building plans for a museum quarter that would see the end of trees and green space that is regularly used by the community. We do not live in homogenous societies but can struggle to reach out to one another so need to have the will and be open to diversity in our teams to allow this to happen. You can plan the best party but you need to question who you are inviting, why and for what potential outcome to avoid simply becoming self serving. Smart Cities can only be smart if they cater for the needs of a diversity of citizens. The next three years are set to be rewarding and exciting for Mindspace and Budapest with the right people and programmes coming together to create and innovate.